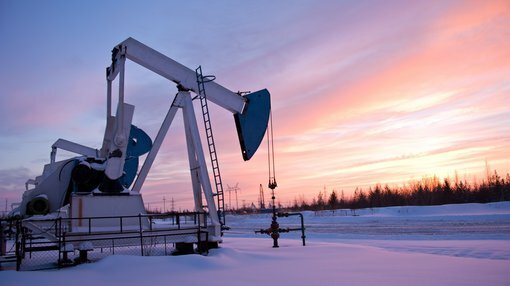 Coming off a strong session in the UK overnight, 88 Energy (LON | ASX:88E) this morning updated the market on its oil and gas project on the north slope of Alaska. 88E has a 63% working interest and operatorship in approximately 342,000 acres onshore the prolific North Slope of Alaska — Project Icewine. The North Slope is the host to the 15 billion barrel Prudhoe Bay oilfield complex, the largest conventional oil pool in North America. 88E, with its Joint Venture partner Burgundy Xploration, has identified highly prospective play types that are likely to exist on the Project Icewine acreage – two conventional and one unconventional. Today’s news follows a previously provided update on May 30 regarding site clearance works at the Franklin Bluffs Pad ahead of flow testing of the Icewine#2 well. 88E has now reported that pressure build-up analysis at the site indicates no deterioration in fracture half-length. This is good news, however the stock remains a speculative play and there is much work to be done, so investors should seek professional financial advice if considering this stock for their portfolio. Following retrieval of downhole gauges in Icewine#2 on May 25, pressure build-up data was downloaded and processed. The data was then analysed and interpreted to determine whether any degradation of the fracture system created by the artificial stimulation had occurred. The analysis showed that the fracture geometries of the first pressure build-up, in July-August 2017, when compared to those from the second pressure build-up over Winter, in September 2017-June 2018, are very similar, with estimated fracture half-length of 504ft and 500ft, respectively. This is encouraging and indicates that the fracture system created has not undergone degradation. This, combined with there being no evidence of a build-up of debris in the wellbore, means no remedial action is required prior to commencement of flowback. Mobilisation of equipment and personnel for the re-commencement of flowback of the Icewine#2 well, utilising artificial lift, is now in full swing and operations remain on schedule for start-up on June 11. 88E had a strong session overnight, rising 8.6% in the UK.